Last Saturday on the 1/11/2014, it was my most lovable cousin sister birthday. This also my first time got invited to join her birthday. Since she informed me 3 weeks time earlier before the actual day, I immediately got this superb idea to surprise her. This is definitely an extraordinary gift to her. 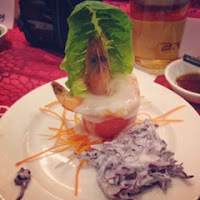 The surprise gift was my very own first DIY birthday decoration at the restaurant's dinner room she booked. Without much more waiting, immediately I kick start the project, buying the stuff I need on the next day and draft out the plan in mind. 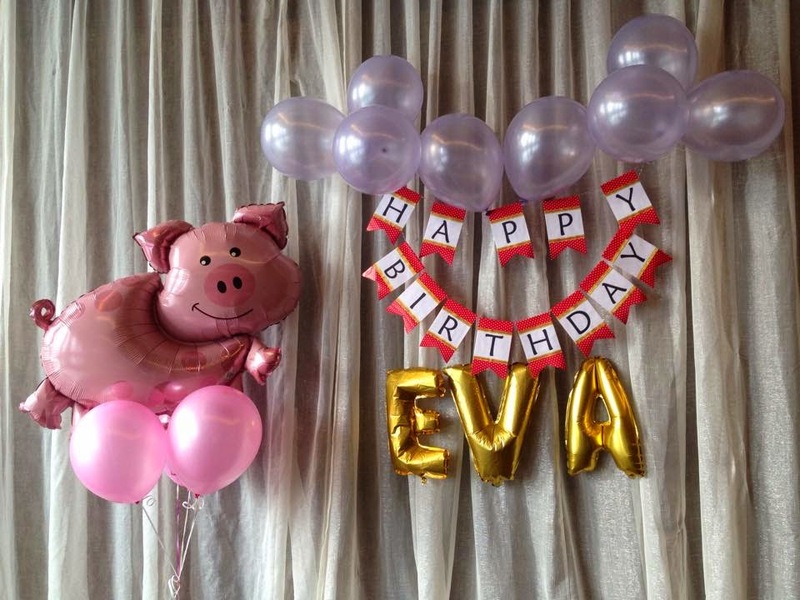 The idea was - floating balloon on all seats, a foil piggy balloon (she is a piggy lover), alphabet foil balloon (her name), birthday banner and birthday sash (like crowning a beauty pageant). 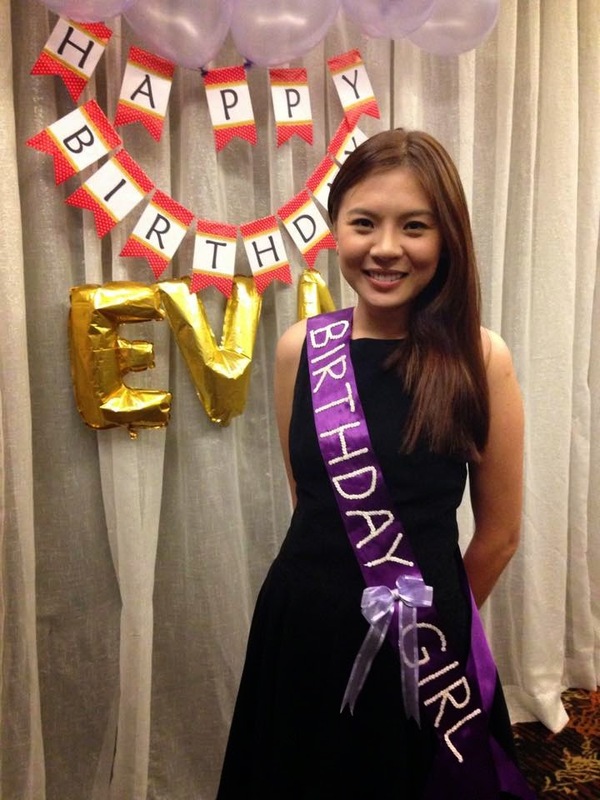 - Chained white blink sequin, used roughly 1.5 meter to sew on the wording "BIRTHDAY GIRL"
- Bow, semi transparent purple ribbon 1 meter. 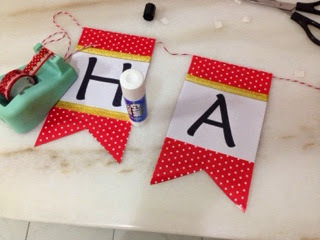 - How it do: - use UHU glue stick the sequin on the ribbon first, I did it free hand, thus the alphabet width not so equally big, after that hand sew apart with white thread to hold it better. 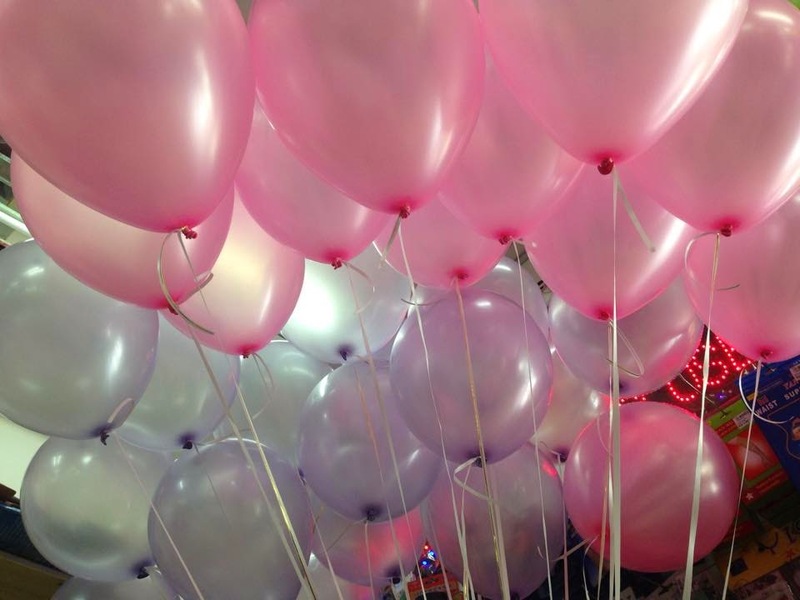 - After survey locally at some balloon shops, they don't have what I want and also the price for foil balloon is very expansive. 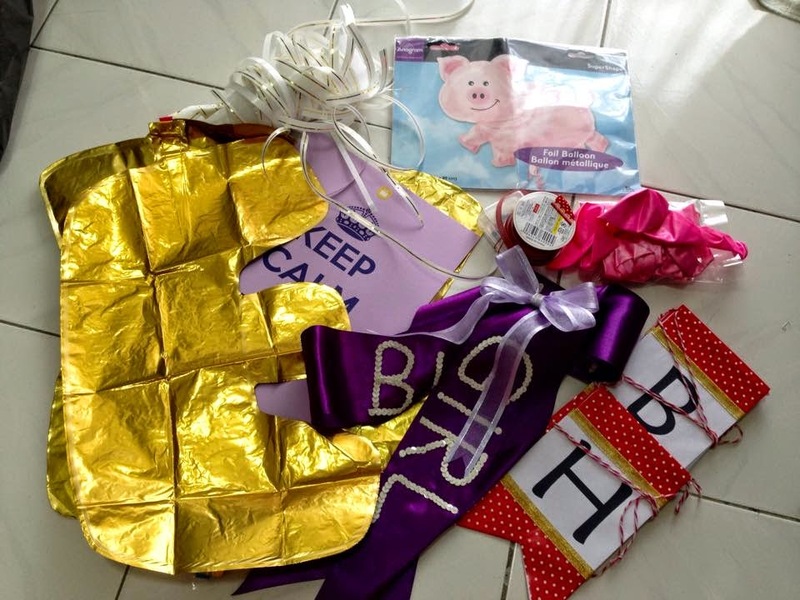 An animal foil balloon can cost about RM50 per piece. - End up I bought from Taobao, the ever famous China online shop that has almost everything. It is much cheaper even include the shipping fee. 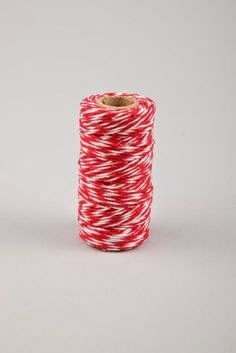 I'm using Wiwaa.com as the agent to help me shop and ship all the way from China. The waiting time is quite long, from the order date till the item reach me it took 18 days long (include Sat/Sun). For urgent item, do choose air express shipping, glad that it reach just a few day before the actual day. Actual day comes, I'm actually very excited too and keep imagine the outcome after all deco put up. 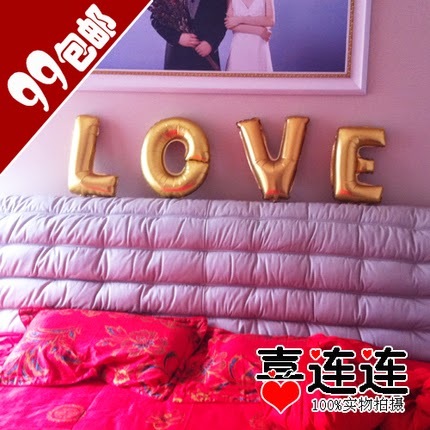 I got 17 pcs of latex balloons (for seats) and some extras for deco to pump Helium gas. 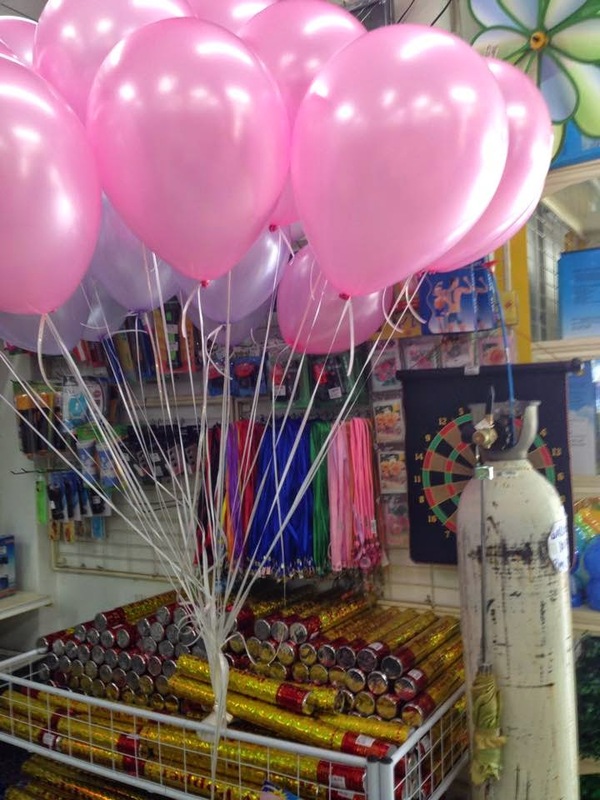 I don't know, I was really really lucky or should say is the shop make a mistake on charging the gas pricing, I got it at RM2.80 to pump 10 helium balloons at Fun 'N Cheer (it is actually RM2.80 per piece), so a total 30 balloons pumped mixture of purple and pink latex balloon (I did prepared plastic ribbon which has been tear into tiny pieces, knot it up, so that it is easier to hold and tie the pumped balloons). 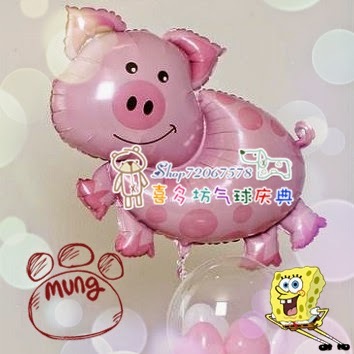 For that 30 inch large piggy foil balloon FnC ppl can't do it, so I went over to a Balloon Buzz to pump that only pig that cost me RM20. Challenge comes, after all balloons pumped, so so so many of it, almost going to cry seeing it (LOL), how to fit 30 floating balloons into a small car! Front and back passenger seat all fill up with balloons with my rear mirror fully block. It is really so dangerous to drive actually. But, how? don't care so much, my little boy also struggling to help me press down the balloons at the back seat, I drove extra careful and slow. Finally, managed to do it and reach the restaurant safely. I'm alone, took up 2 hours plus to put up all deco for high and low with minimal help from my son. I'm so glad everything falls in the right time and everything manage to do it so well. The whole room looks so different with deco on. 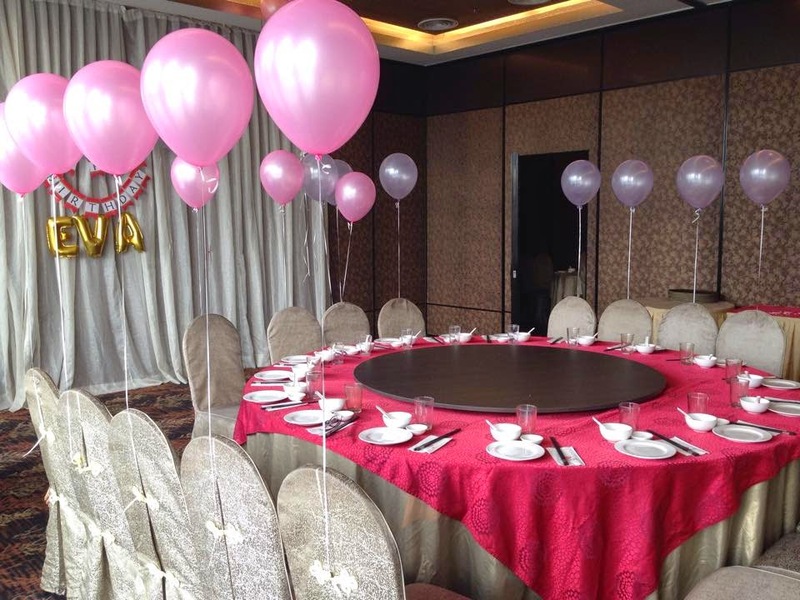 Dinner starts at 7:30pm at Moon Palace Puchong (PFCC), everyone reach on-time, the guests invited are her both parents, my family, cousin's family and a few of her close friends. We all sit in a one big round table. 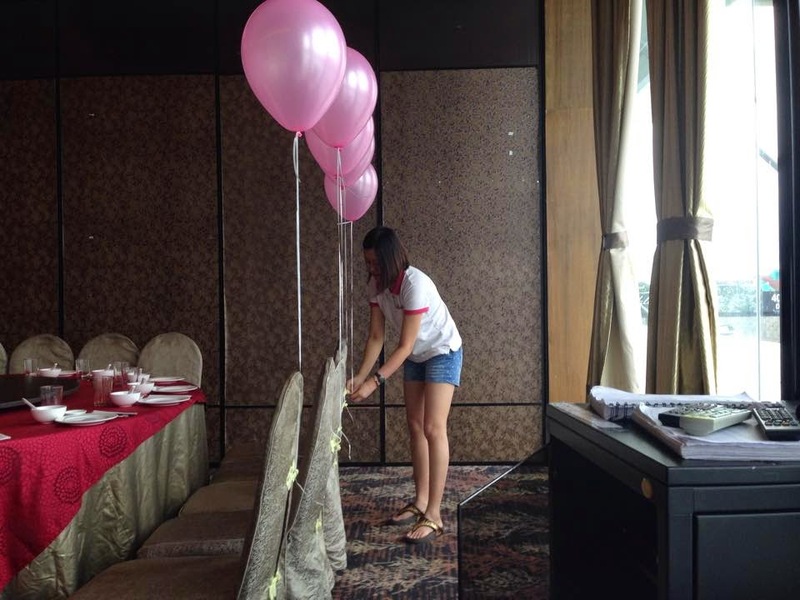 The birthday girl was really so surprise for the deco, she got no idea who did it before I came to reveal it. She couldn't believe it was from me. As before this day, I didn't reveal a single thing to her that I was busy on this project and I also reject her date for lunch in the same day noon and told her I'm taking my afternoon rest before the dinner time, I just want to keep everything in low and secret. She is very happy as it was like her wedding day...so sweet and beautiful and it was first time she got such treat. Really, I was equally feel love, sweet, excited and surprise. We are so close and so dearly to each other, there is not much time and chance can do such special and surprise thing. I'm glad on her special day created this special moment. I was in great delight that the mission is finally accomplished. 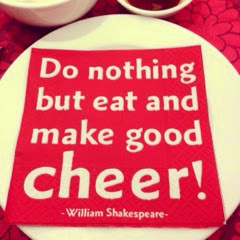 The night, great food, laughter and cheers, like what says on the napkins she prepared for us. 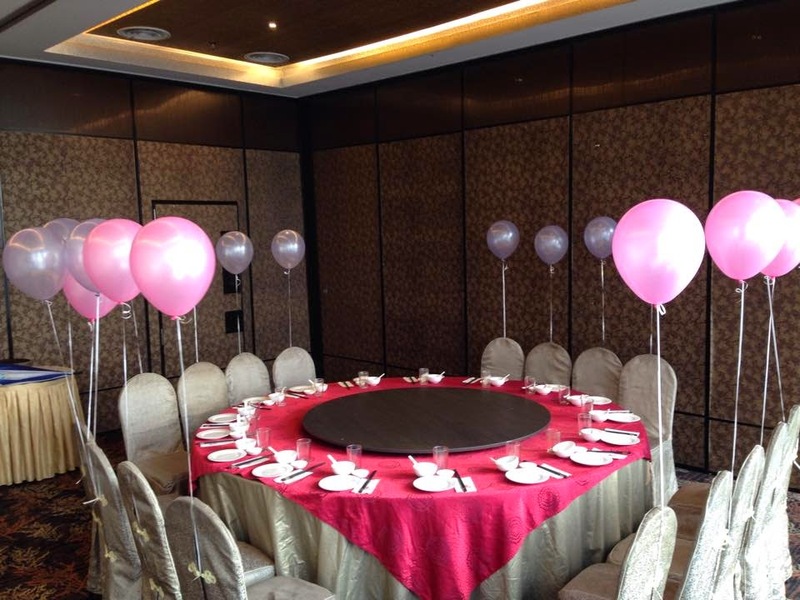 Everyone enjoy each other accompany and gathering. I also offer my help her to be her camera woman. HAPPY BLESSED BIRTHDAY my lovely! We won't be seeing each other often starting next month, I will be missing her very much. As though we can't meet, but our heart are still in together. Evan, life is filled with unexpected adventures. As you continue to move on in life and face new events, adventures, and challenges, I wish you the best of luck and take care. Lastly, all these beautiful moments I've created it into a video too, hope you enjoy it. 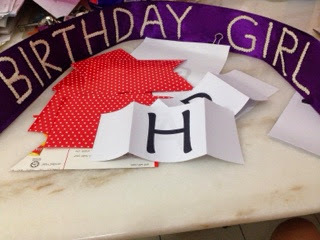 i like your diy birthday decoration for your cousin, simple n nice!